Those North Americans looking to buy a localized version of Warriors Orochi Z, bad news! Koei has canceled the title for the region. The game is a PS3 repackaging of the first two titles in the series plus bonus new characters. It was going to be released in North America as Warriors Orochi: The Collective, but has since been put on ice. 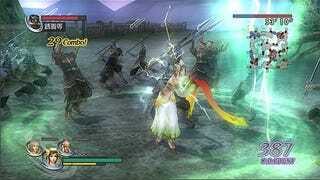 The hack-and-slash title is a crossover between the Dynasty Warriors and Samurai Warriors franchises. It is the first Warriors Orochi title not to get a North American release.